Food, food, food. 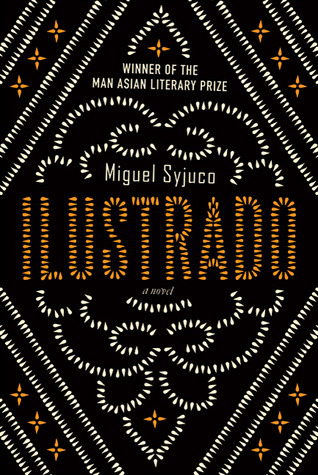 If you eat food, then you better read this book. Easy to chew, a joy to digest. 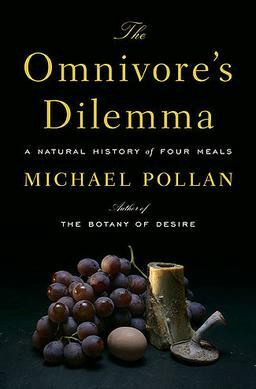 Michael Pollan’s first book, the Omnivore’s Dilemma talks about the four paradigms of food production, from industrial, pastoral (big-organic and self-sufficient) and personal. The book starts from the large producers of corn then goes down all they way to a hunter gatherer experience. I was engaged throughout the whole book as the topic about food is so personal. Something we hold and touch everyday, something we put in our mouths and resides in our bodies for hours. Nothing is more personal than food and yet we take it for granted. Starting with industrial agriculture, Michael walks us through a brief history of corn farming and how it has shaped the modern farms of America. How big corporations were able to control the corn production and how much money farmers lose for every yield of corn. How much corn has infiltrated our daily lives, from breakfast, lunch, and dinner. Even from driving and the tools we use at the office. He shows how much corn has been a part of the modern world beyond it’s intended use of being food. From industrialized agriculture, he moved towards a more vile scene of industrialized farming. A place where cows, pigs, chicken, and other animals are grown to serve the purpose of feeding a “higher creature”. He visits several farms hoping that he’ll be able to track the progress of the calf he bought as he wanted to follow it’s journey from birth to plate. It proved to be a difficult task just like following a husk of corn from the field to the plate. Industrialized farming and agriculture has it’s fair share of enemies from liberal environmentalists and the general public who has seen those scare videos from PETA showing them how animals in industrial farms are like prisoners in a concentration camp. One common complaint about the book is its lack of macro economic analysis of the whole food industry. Sure, it’s a great way to mask the book from being a capitalist view on food but there is a reason on why corn can grow so close to each other and why cows and chickens live in dire conditions to feed our insatiable appetite for food. The author achieved his goal in leaving a bad taste in my mouth upon reading the section on industrialized farming and agriculture. How we can enjoy out of season vegetables and meats from all over the world without batting an eyelash. How we can have meals that looks like and tastes like chicken and yet is made from corn. How we can afford to throw out totally edible corn to the sea just to balance out the over supply. His goal is for us to rethink where our food comes from and the sacrifices made for us to enjoy a single meal. The first section reminded me of the few weeks I was in the US, and how large the portions are and more importantly how much meat I consumed, even the salad tasted like meat. Compared to most of the meals I eat here in Asia, eating in States felt like a feast. Large portions, lots of condiments and lots of meat. Reading how they are produced made all the bad memories of all the weight I gained on these trips. No surprise on why USA is suffering from an obesity epidemic, I can’t imagine having to eat enormous portions everyday. The pastoral section started by introducing us to organic farming, a relatively recent fad in the states which of course gets so much interest from the hipster/hippie folk, and how badly we fall for well written stories. He visits several organic farms and sees first hand how manipulated the meaning of organic has been. How farmers abuse the system of lax rules in the effort to pass off their products as organic. He visits several farms in California and see little difference between industrial CAFOs and the so called organic farms. I greatly enjoy books that open our minds on marketing gimmicks, especially about common misconceptions that somehow become common knowledge, one of which is the organic farming movement. It’s clear that even though they are marked organic, the process, once seen, can hardly pass off to be organic. Crowded chickens, unnatural farming, and assembly line like processing just can’t be called organic in it’s pure essence. Luckily, I’m not a big sucker for organic products and I’m lucky enough to be living in Singapore where (hopefully) the animals and plants don’t go through so much trouble that they have to grow out of unnatural circumstances. This does bring to light how we are easily fooled not just by the companies creating the products but by our ideal pictures of how farms are supposed to be run. Lush grassy knolls, chickens and cows running free across the fields, a happy family running the farm with their farm truck used to haul feeds to the barn, this is what we associate organic farming with, a beautiful farm operating just like in the books we used to read when we were young. Pollan shatters this notion and exposes us to the hidden truth. There is some hope to all this madness as he visits Joel Salatin’s Polyface farm. Here he discovers how Polyface tries to maximize the energy of the sun by admitting that they are grass farmers. In essence, every farmer is a grass farmer as this is the first organism that harnesses the sun’s energy, that then gets eaten by cows which then gets eaten by us. Salatin doesn’t believe that cows and chickens should be trapped in a cage but rather, he grazes them in his huge farm. The cows eat grass then move around the farm with the chickens a day behind the cows which then feeds on the cowpies and other by-products of the cow, as was designed by nature. It’s a sight to behold as Polyface has gotten down what farming is as to how the animals were designed to live. Here’s a short clip from USATODAY to give you a better idea. Pollan iscern which type of farming is better. But again, this is where Omnivore’s Dilemna fails. The macro economic benefits of feeding a nation is something that Polyface can’t tackle. Their costs are higher and their yields are lower compared to industrial farms. Salatin and Pollan makes a convincing argument that the face value of food produced by CAFOs are cheaper, yet we pay for it through other means like damage to our health and the environment, something that is very hard to quantify, unlike a price of a dozen eggs. The final part of the book tells how humans have lived before industrialization and farming, through hunting and gathering. Here, he learns how to hunt wild pigs and gather wild mushrooms through the forests of California. It’s quite a fascinating part of the book as he gets to meet people who hunt for fun, while other who hunt and gather for profit. His goal at the end of his expedition is to create a meal from ingredients that he has harvested himself. From the fowl, to the mushrooms and other ingredients. Here, he shot his first gun with mix feelings. He hesitated gathering mushrooms as he is unsure if it was the “safe kind”. He went through a lot of introspection especially when he was hunting as it was his first time taking a life. The ethical hunting also became an issue with his guides giving good explanations on why they continue to hunt. This section had an air of ‘hipsterness’ for me. It didn’t seem as right as sustainable farming as most of the hspends a week helping out at Salatin’s farm to understand how he can sustain such farming methods in our industrialized world. In the end, after trying their products, the chickens tastes more “chickeney” and the eggs more “eggy”. Polyface is a great counter example of how our race for profits has made us alter even the natural tendencies of animals so that we can maximize yield. Salatin acknowledges the limits of nature and his farm runs along with how the animals interact with nature and other animals and plants. He has accepted the fact that the environment is not mono-specie, something that large farms do, but rather animals interact with other animals. Cows don’t just eat one species of grass. Chickens don’t eat just one type of feed. Cows graze on their own and eat grass upon their discretion. Chickens eat after the cows have trimmed the grass. This is nature at its best and that interaction is something that industrialized farms can’t mimic or don’t even bother about. Their cramped cows and their manufactured feeds will produce beef, but is it worth all the toxic byproducts, the diseases contracted by the animals due to their environment? I haven’t seen a large farm to be able to pass judgement but just using logic one can dunters are doing it for game or to get a better tasting patte. I do believe that there are pros to hunting and most of the hunters are not invading any territory or over hunting but the thought that this game is used to feed those with better palates is just alien to me. Coming from a third world country where food is scarce, every morsel of food is sacred and is valued. It doesn’t mean that we don’t appreciate good food, it just means that there is not enough for everybody and one has to share, else feel the guilt of eating expensive meals while a family outside can barely feed themselves (socialist in me talking). He concluded the book by sharing a meal he created from scratch with his friends. With the pork and wild mushrooms he gathered, pasta he kneaded himself and other more “natural” ingredients. He analyses the whole food industry, through the corn fields and cattle farms, the grazing cattle in Salatin’s farm and wild pigs of California. He doesn’t struggle to realize how much we have altered the environment in an effort to produce more and more food beyond our needs. How we have destroyed nature in order to grow animals beyond their natural environment. How we have created products that the main ingredients are beyond recognition. His analysis again gets you think of what you eat and where it comes from. An easy read and a great eye opener for something very personal, The Omnivore’s Dilemma is something you should chew slowly else you might spit it out. Heralded as one of the must buy books for entrepreneurs The Lean Startup was written by Eric Ries, founder of IMVU. The book describes itself as a scientific approach to starting a company. As the title implies, the goal is to get lean. Lean might mean several things to you like starting with a lean budget, lean time, lean resources or a lean product. These descriptions are actually part of the book, but one of the key components with starting a lean startup is customer validation. The goal is to learn from a process that will allow you to validate your hypothesis, create the experiment, measure the results and build from these learnings. The key with the whole process is to create a way to keep iterating through your ideas and your experiments so that you will be able to react, not with gut feel, but with hard data. No assumptions but rather well backed decisions based on data. The book is divided into three main sections, Vision, Steer, and Accelerate. These main categories take you through the journey of learning the method. Vision is your high level, concept phase of learning the difference of the methodology from traditional corporate thinking. This section takes you to realize the whole concept that creating sustainable business is a process. When it’s a process, it can be learned, and can ultimately be taught. Being exposed to a lot of entrepreneurial activities, the first section doesn’t cover anything ground breaking, rather it shows you the possibilities of viewing a challenge with a different perspective. 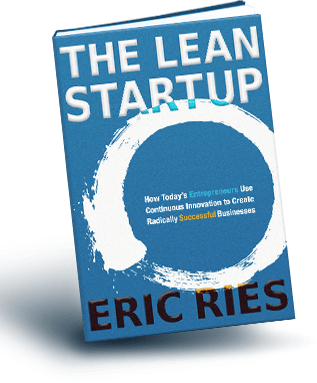 Well repeated in the book is that the Lean Startup methodology is not just for new startup companies, but for any organisation creating a product. I think this goes well with anybody working in a knowledge based industry. Formulating marketing campaigns, community engagement and other community based marketing can benefit from having a lean approach towards their business. Steer, talks about the methodology. Dropbox and Intuit were were given as examples while going to the process of build -> measure -> learn. This whole section is what you want to read. Again, the whole book is not rocket science, but the process itself is well thought of and it’ll get you thinking whenever you go through the rounds of work. Several methods and techniques were presented here, again with the goal of getting you to rethink how you do things now and getting into the lean mindset. One thing that stuck out for me was how we measure “success”. We have to get into the habit of measure the right things rather than the things that will make us look good. (which is very typical in large companies) I got my fair of vanity metrics that I see often. How, and more importantly, what we measure is a crucial step in learning. If we don’t measure the correct things, our assumptions might be validated the wrong way. If you are measuring page views on your site rather than activations, this might present you with a great chart, but it won’t give you more business. I like quantifiable measurements as it takes away any doubts and uncertainties whenever we look at metrics. Accelerate talks about growth, releasing in small batches and how you will move after applying your validated learning. I especially liked the chapter about batches as it’s quite common for us to procrastinate by releasing a larger batch until it’s perfect then getting bombed in the end as our work didn’t get enough validation or feedback. The last part of the book also shared a lot of resources to get you on track with the lean methodology. Blogs, resources and other books that will help you get into the mindset of lean. As me and a friend are building our product now, the book helped me think of how we should be constantly validating our assumptions and what metrics to measure. I’ll be talking about this more once we launch and I’m so happy that it’s going to be soon.